When decision day arrived, Tim Wallace took a pass on tenuous job prospects in Europe in favor of playing hockey in his hometown. 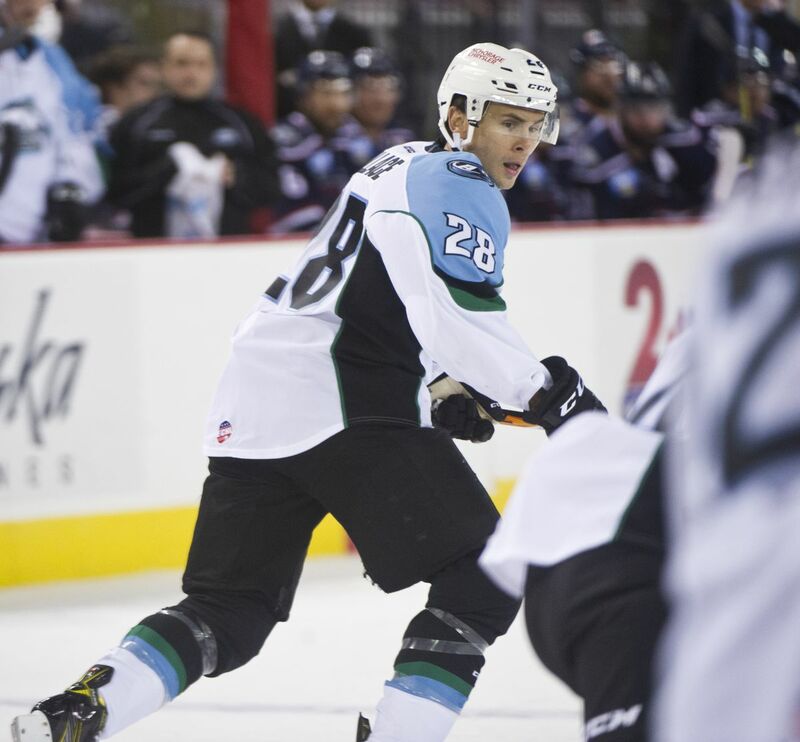 Wallace, 32, the former NHLer from Anchorage, signed a standard ECHL contract with the Alaska Aces and was part of the season-opening, 23-man roster the club unveiled Thursday. That roster will be fluid – highly regarded rookie goaltender Michael Garteig is on the way from the Utica Comets of the American Hockey League, for instance – because the Aces do not open the regular season for another week. Wallace, entering his 11th season as a pro, attended training camp with the Aces on a tryout basis as various agents in European countries tried to land him a gig abroad. He played in Germany last season and in Sweden the two seasons before that. Lacking an acceptable offer overseas, Wallace said he decided Wednesday to sign with his hometown team. "I kept getting, 'We've got this here, we've got this there, we'll know by tomorrow, they just need to get rid of one guy,' '' Wallace said after the Aces' morning skate Thursday. "I'm just really thankful for the Aces letting me skate with them, and now giving me an opportunity. Naturally, the Aces gladly welcome a guy with 101 NHL games on his rink resume and more than 700 pro regular season and playoff games of experience. Meanwhile, four players who were in Utica's training camp have arrived and practiced with the Aces on Thursday morning. Forward Danny Moynihan and defenseman Mackenze Stewart were assigned to the Aces by Utica. Returning center Stephen Perfetto and goalie Kevin Carr, signed to ECHL deals by the Aces in the offseason, were released from their tryouts with Utica. 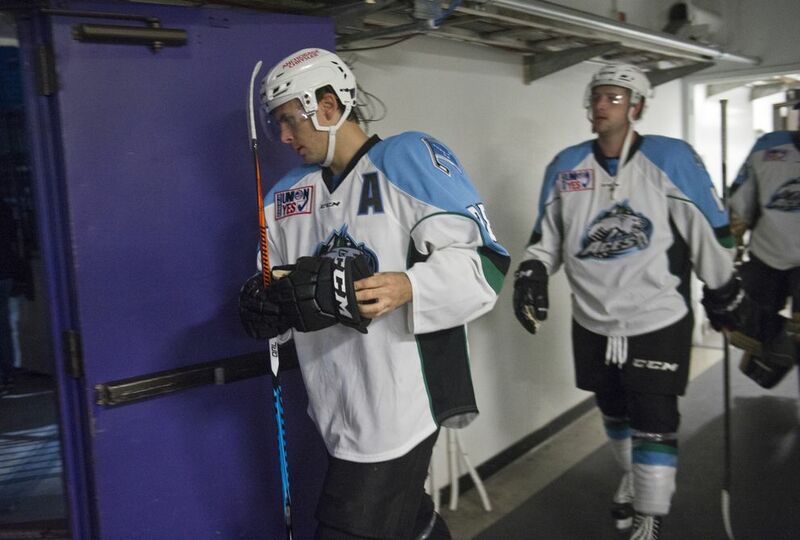 The season-opening roster Murray submitted to the ECHL includes 16 forwards, five defensemen and two goaltenders. That roster will likely be altered when Garteig arrives in Anchorage, and further altered if Utica assigns more players to the Aces. 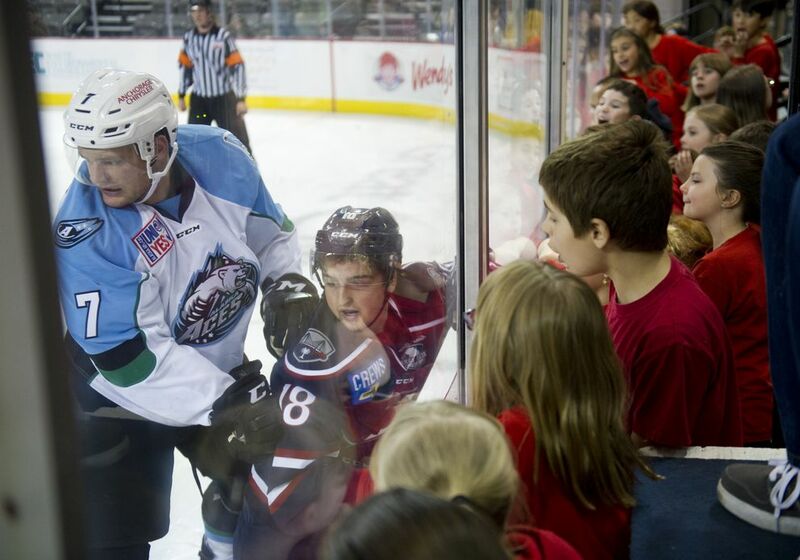 The Aces are affiliated with the NHL's Vancouver Canucks and Utica, Vancouver's AHL affiliate. Garteig, 24, is coming off a sterling career at Quinnipiac, which he backstopped to the national championship game last spring. Garteig last season led NCAA Division I in wins (32-4-7), and crafted a 1.91 goals-against average and .924 save percentage. His eight shutouts were second-most in the country. He played 98.3 percent of the Bobcats' minutes, which ranked second nationally. The Aces remain thin on defense, with only five blueliners, one shy of the number a team customarily dresses for a game. Captain William Wrenn remains in training camp with the AHL's Toronto Marlies and there's still a chance Alaska could receive a defenseman from Utica. "We still are in search for a couple more defensemen and, saying that, we don't know the end game with Utica,'' Murray said. ECHL teams in the first month of the season are permitted 21 active players — that drops to 20 after the first month — and allowed to place two additional players on reserve. 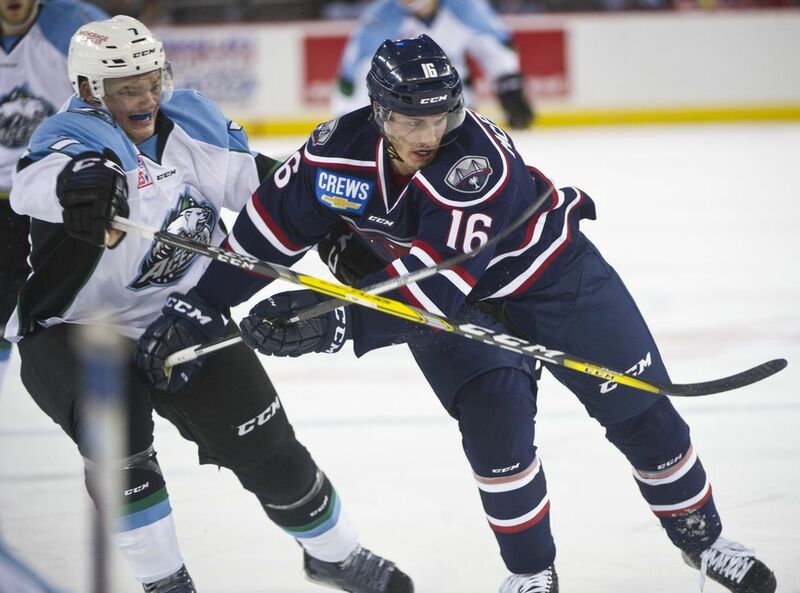 Though the ECHL's regular season opens Friday, the Aces do not debut until Oct. 21 in Colorado. Their home opener is Oct. 28 against Rapid City. Forwards (14) – Tim Coffman, Ben Lake, John Lidgett, Andrew Miller, Stephen Perfetto, Tommy Olczyk, Collin Valcourt, Garet Hunt, Nolan Huysmans, Tim Wallace, Charlie Sampair, Vladimir Nikiforov, Peter Sivak, Danny Moynihan. Defense (5) – Ryan Trenz, Dax Lauwers, Matt Geurts, Marc-Andre Levesque, Mackenze Stewart. Goaltenders (2) – Kevin Carr, Lukas Hafner. Reserve (2) – F Justin Breton, F Tyler Ruegsegger.